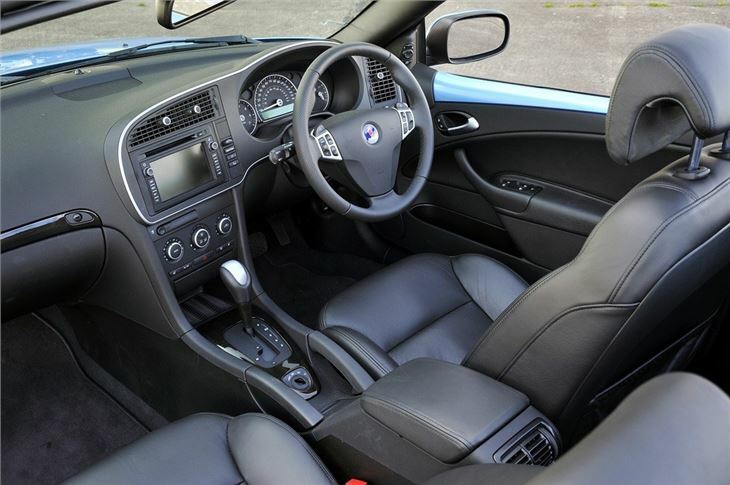 Vastly better to drive than the previous version. Superb seats. Excellent crash test rating. 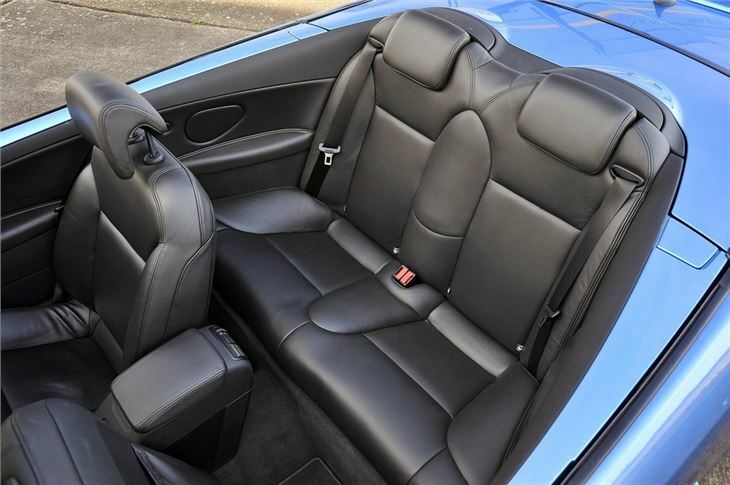 A lot of convertible for your money. 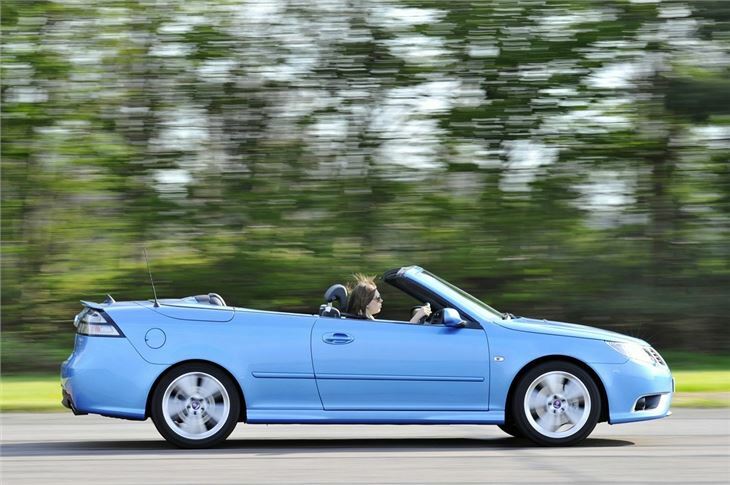 A 3 Series convertible offers a sharper drive. 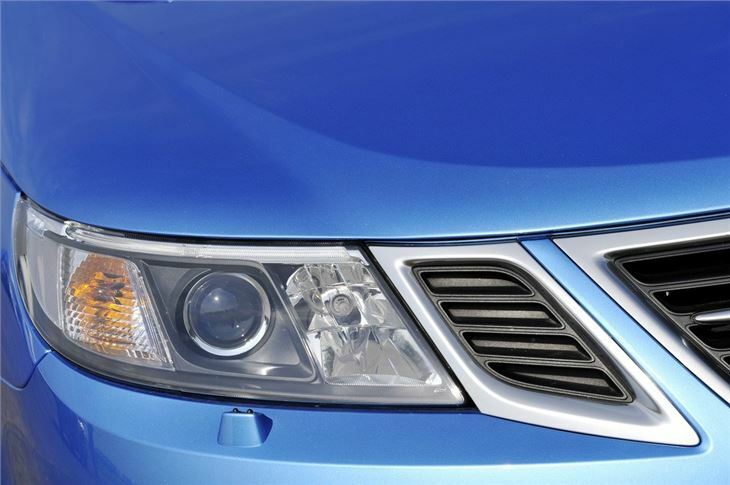 Oil change is recommended every 5k miles on 4-cylinder Saab petrol engines. 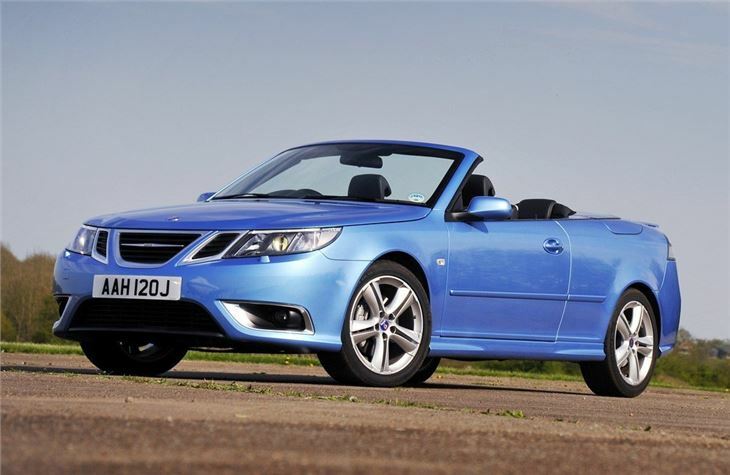 If you've got the money you have three new soft tops to spend it on: The new Audi Cabrio, the new Mercedes CLK Cabrio and now the new SAAB 9-3 convertible. 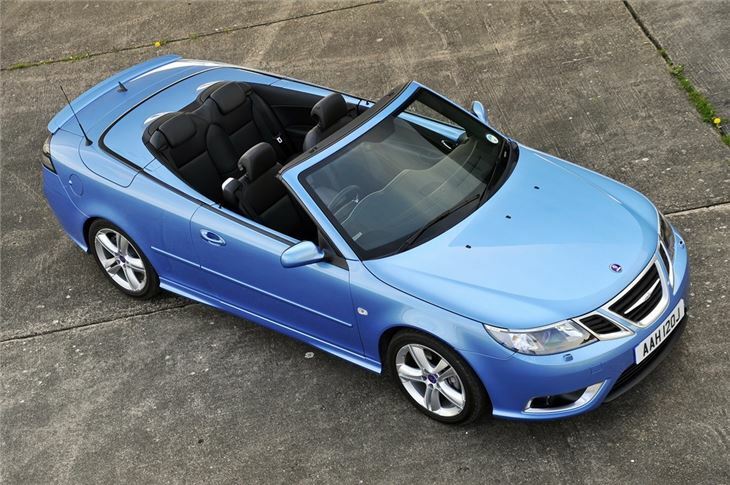 Add the BMW 3-Series and the Volvo C70 to your soft topping list and there's plenty of choice out there. Like the CLK, the improvements in the new SAAB are so huge they instantly push the old model past its sell-by date. 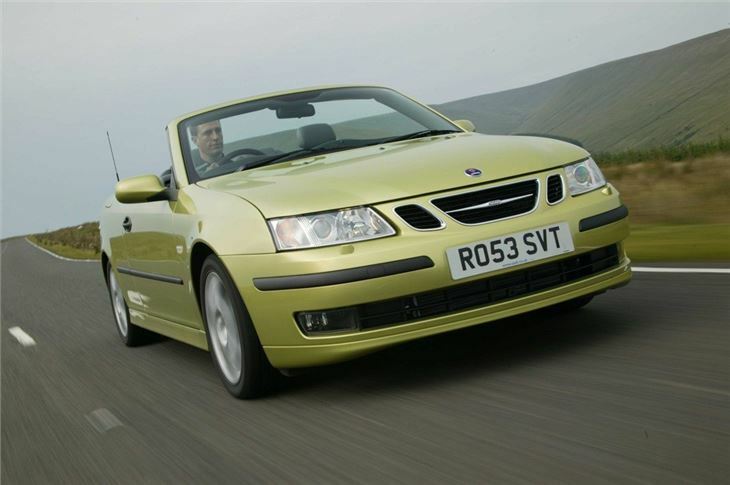 Access cards and the old SAAB 9-3s were both your flexible friends. Potholes and traffic harming measures rattled their composure to such an extent you could feel the structure twisting and squirming. 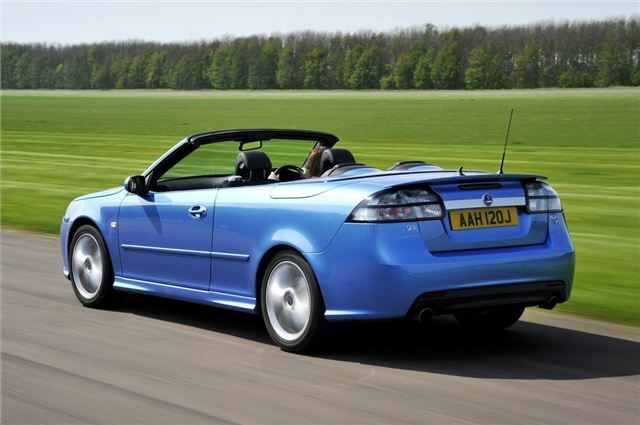 This didn't do much for the Cavalier handling of the car either, turning a severe understeerer into a game of scrabble when seriously pressing on. 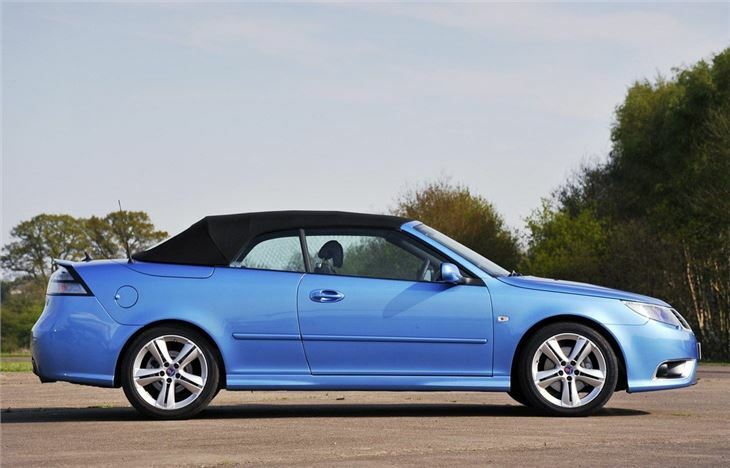 You get none of that with the new 9-3 convertible. 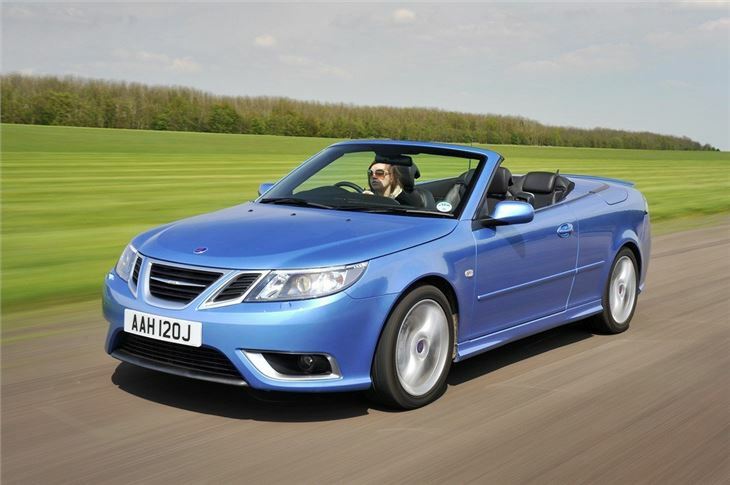 Instead of being based on an old Vauxhall it sits on the brand new Epsilon floorpan jointly developed by SAAB and Vauxhall engineers with a convertible version in mind. The structure is then stiffened immensely. 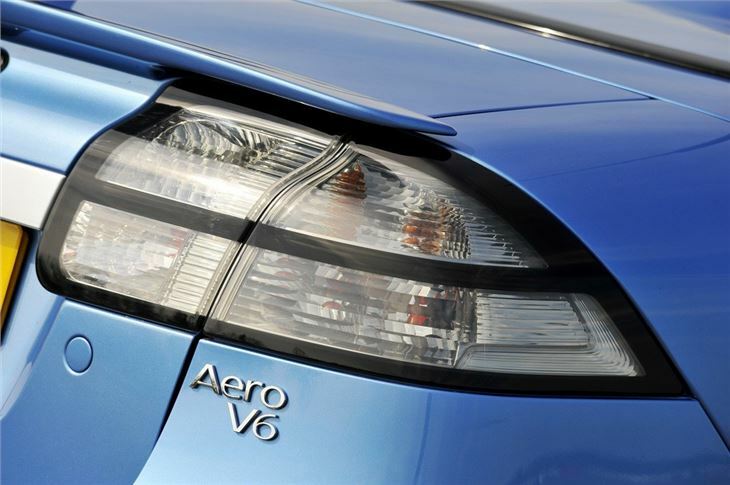 Well made, fun to drive, good economy, fresh air driving !